Old enough to rant, too old to rave yet sufficiently young to forge a path into the future. Thanks – rant ‘n’ roll! Ha! It’s our best option!! Thank you very much for your kind words – it is still a work in progress! I have nominated you for the “Blog of the Year 2013” award at http://wp.me/p4b8U2-GH! Even if you choose not to accept, thank you for your terrific writing and fostering of community. Thanks you so much – I’m glad I could create some virtual ties! I am so honoured that you have chosen to send these awards my way – I certainly will make the time to participate! Thanks for visiting and for all your support and encouragement. Hello my friend, your blog has been nominated for the blog of the year award. I love the name of your blog, love the cover photo (I want those chairs! ), and your description of yourself is simply great. It’s one of those things where everything is just right. Cheers! Thank you so much – I try and visit those chairs at least once a year – drop by anytime! Thank you for liking my Word a Week Photo Post. Thank you for liking my Worker Photo Challenge. It brought me here. I love your tag line. I think that describes me too. You’re very welcome – please visit anytime! Thank you so much for your recent visit to my site. I have had so much fun looking around your beautiful and inspiring blog, and I love the blue color of the chair! Glad you enjoyed it – canine friends (and dog lovers) are always welcome! Now that’s something I can sink my teeth into! Hi, thanks for stopping by my site and for the comment, nice to know someone appreciates my work! Thank you for stopping and liking today’s re-blog. Your pictures are beautiful and the quote under the chair above is great. I look forward to following your blog and its beautiful imagery. Thanks – a little bit of everything for everyone! Thanks so much – visit anytime! You’re welcome – and the same in return! Thank you so much – a lovely christmas present! OOo,a gargoyle please – and thank you! I can identify with your description:-). Beautiful photos, and thanks for popping by my blog. The chairs are works of art in themselves!……..and the setting!!! ……….nuff said! 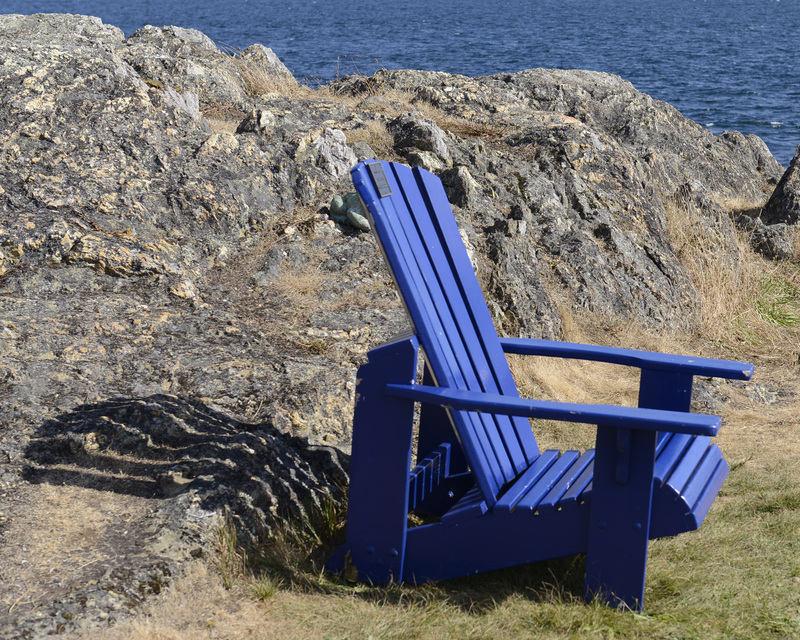 I am always on the lookout (sorry for the bad pun) for brightly-coloured adirondack chairs – these two are among my faves. some New England style too, or? 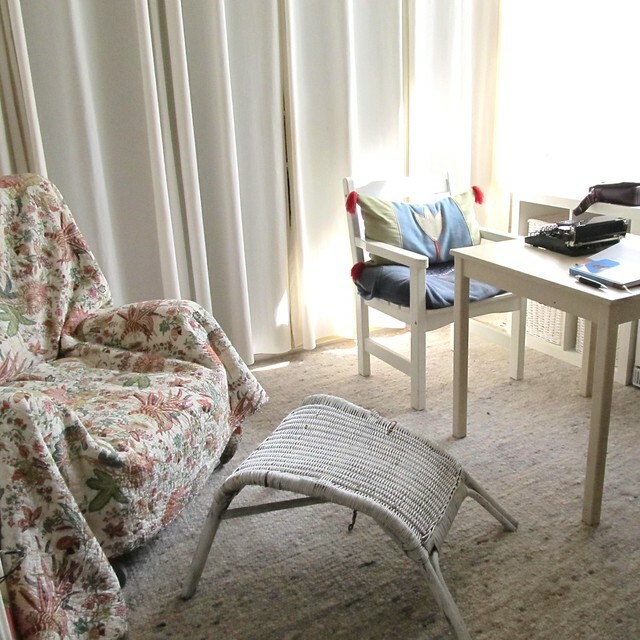 That looks like a happy corner – Any chair that is not a struggle to get out of is a good one! Thanks – and you’re welcome – come and visit again! Oh I LOVE those beach chairs and view of the sea–I may have to come back just to let my imagination rest, and smell the air! Thanks for visiting CV today–you’re always welcome! Feel free to enjoy the view anytime! Thanks for stopping by my blog, ideflex. Love your beach chairs. Can’t go wrong there :-). Hi, really liked your blog… and your pictures are amazing! Loved what you said here. Sounds like we’re just about the same age ;-) !! Might be one of many things we have in common! Beautiful photos. I’m glad we’ve met! Nice to meet you too! I’ll be sure to visit.